The epic 50 million health Yiazmat hunt typically takes hours to kill, and is still amazing years later. The main story of this game is very serious and epic, as you can imagine from the mind of the same creator of Final Fantasy Tactics and Vagrant Story. That being said, there is still a lot of fun side content that has no bearing on the main story and adventure. 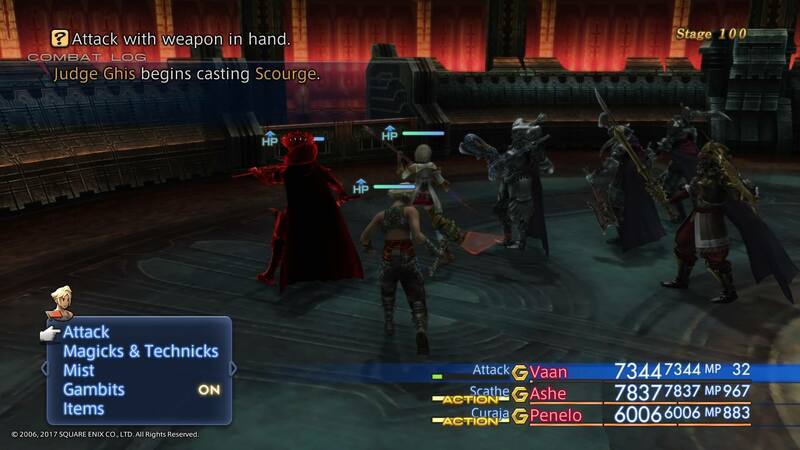 One of the greatest side games in Final Fantasy history is the Hunting Guild in this game, featuring a series of 45 different boss hunts that are your route to most of the best weapons, abilities, and summons in the game. They offer the real challenge in the game, and also provide a great perspective into the difference in power between your characters in the different versions of the game. I’ve been a very outspoken advocate of this game ever since it was first released, so I’ve completed all the hunts in every version, and I think Yiazmat offers a very good perspective on the differences in each version. 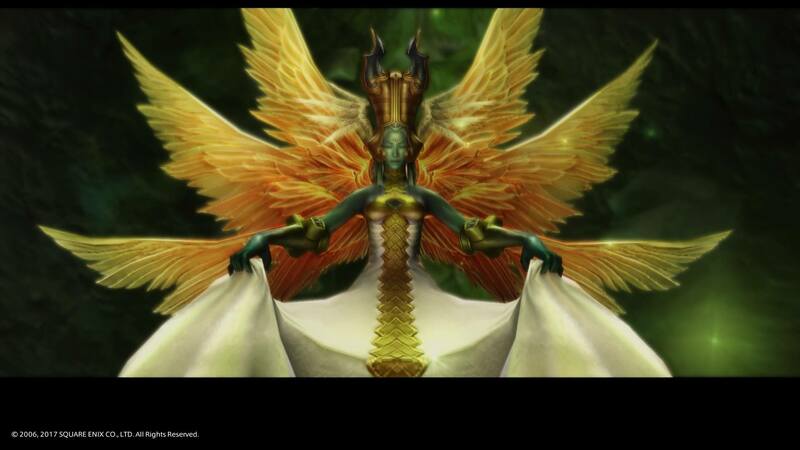 Yiazmat took me, on average, about 4 hours to beat on the original Final Fantasy XII, and about 2.5 to 3 hours with the International Zodiac Job System version. Because you can choose 2 jobs per character, but the enemies were not changed from the IZJS version, for better or worse your characters are a lot more powerful. I killed Yiazmat in under 1.5 hours this time, and I didn’t even have the best gear that I completed the game with at the time. To be sure, I still challenged myself by tackling creatures very early (such as taking on the Hell Wyrm the moment that I arrived in Arcadia), but the infamous difficulty of this game is practically gone. It’s not much of a complaint though, and many people would consider that an improvement. The trials appeared in the International version and are potentially quite the challenge. At least in this version of the game there is a battle that is far more difficult than Yiazmat was, and I don’t mean Omega Mark XII. The Trials were added into the International Zodiac Job System, which feature 100 Stages of various bosses, summons, and rare spawn creatures from the game for you to match yourself against, and steal or loot most of the best gear and abilities in the game. The Stage 100 fight against the 5 Judges is the new king fight for the game, being much more difficult than even the former Triad (Yiazmat, Omega, and Hell Wyrm). But if you want to play the new mode, New Game-, you need to defeat that boss fight and then enter the mode immediately afterwards. New Game+ was also added after you beat the final story boss of the game, the difference being that New Game+ starts your characters off at level 90, while New Game- forces you to play at level 1 through the entire game (you gain no experience). 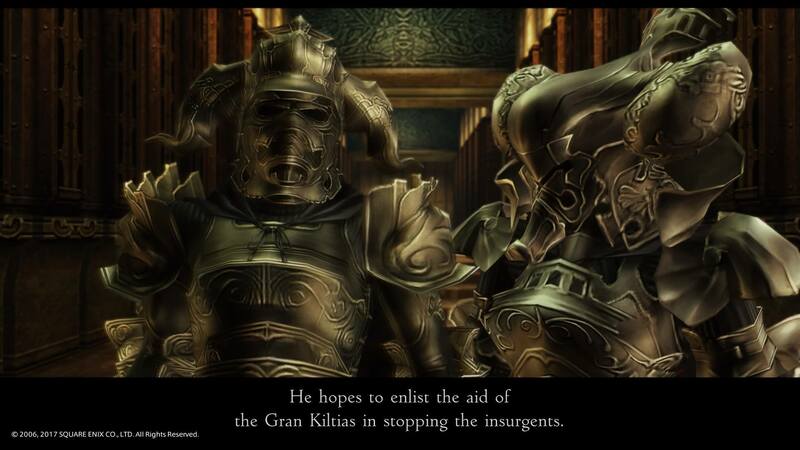 Previously, many runners have played through Final Fantasy XII in a level 1 run, but you unfortunately had to waste your Accessory slot to equip Fireflies in order to do so. Now it frees up your Accessory slot, so it makes that run a little easier than it used to be. As I said earlier in the review, your equipment matters far more than anything else, so it’s always been a feasible thing to do. But neither New Game- nor New Game+ are attached to the trophies. I received my Platinum trophy as soon as I defeated the end boss of the game (although there are 2 trophies attached to Trial Mode, which I had completed prior). The villains in this game are extremely well written and have very valid motivations. Clearly I love this game, and I have always loved this game. But we should address why you would want to resurrect this game at all, as stated in my opening paragraph. There are still a lot of great role playing games coming out of Japan these days, and Persona 5 is just one of the most prominent recent examples. However, what we are not seeing is anything remotely approaching this game. And when I went back through this game, over the 200 hours that I played it for review purposes, one of my primary tasks was to figure out why the game felt so different from anything else. When you get past the Gambits (which although still not entirely matched have been mimicked in similar systems) and the esoteric dialogue, there is one thing left that really felt like it has not been touched since: the villains. It’s almost even a misnomer to even call either the Judges or the Arcadian Empire villains, because their story and their motivations are so realistic and so well written. And the Judges may look very intimidating in their armor, but they are definitely not a monolithic entity. In fact, two former Judges play a huge part in the resistance against the Empire (but I won’t spoil who those former Judges are for those who are just playing this game now). Even the Emperor of Arcadia is not evil—he has very specific reasons for his actions, and is a very frustrated father to one of his sons and a very doting father to the other. In the end, you feel like you just have to almost save Arcadia from itself more than destroy them, and that is a very rare thing in video games. This style and quality of storytelling is very prescient for Square Enix themselves when you compare it to the very subpar effort of Final Fantasy XV. Not only are the villains written far better in this game, but I would have replaced the Judges for any of the four hero party members in that game. The Espers (summoned creatures) in this game are exclusive and very cool. But that’s not to take anything away from the heroes of this tale. 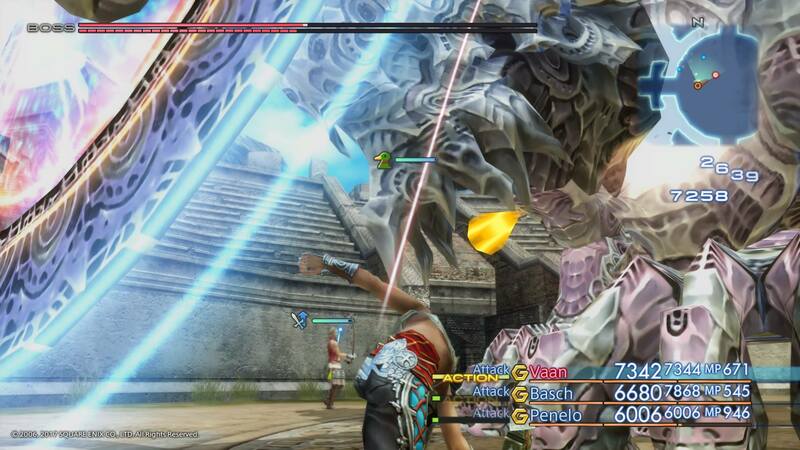 While some people don’t like Vaan, I think he is a pretty good character, just not really the classic hero archetype. And this was also done intentionally: he and Penelo both take the role of observer jesters, much like the two thieves in Hidden Fortress or the two droids in Star Wars. Most of the real crux of the story events involve the two pairs of Ashe/Basch and Balthier/Fran. But Vaan/Penelo give a through-line for these disparate groups to meet, and also provide a naive view for the audience to learn the inner workings of the world and the story. It’s actually a really good story method and adds to the epic story style. All around Square Enix could really learn a lot of valuable lessons from this game, in my opinion. Not only are the story and characters stellar, but the art style still looks amazing after all these years, especially with a new coat of paint. The music is also super memorable and is quite different from other Final Fantasy games, sounding much more like the music from Final Fantasy Tactics. The soundtrack is even better now that it’s been remastered, sounding even higher quality than most modern games even beyond the quality of the composition. Different Job combinations give a lot of replay value, but BLM/MNK was super powerful. I have one complaint about this game, and that is the fact that you cannot bring any items or LP over to New Game+ or New Game-. There are so many different pieces of gear in this game, many of which are extremely hard to find or difficult to get the parts for, that I really would have loved to bring them over. 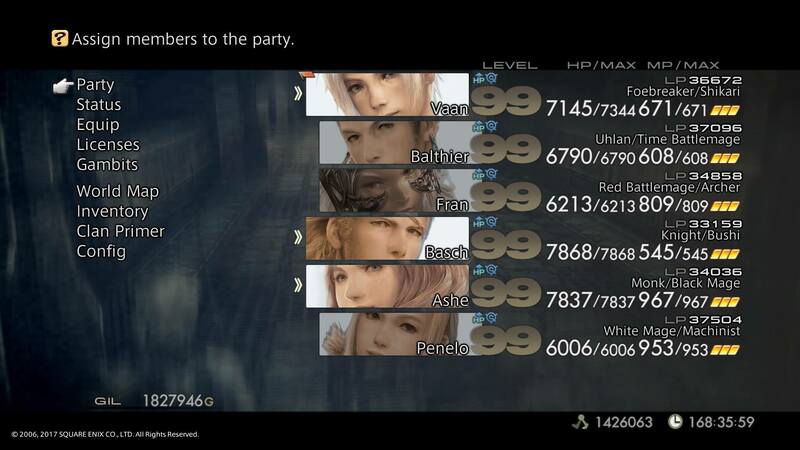 But, with Trial Mode and starting off with level 90 I was able to quickly gain enough gear to be super over powered even when I was still solo with Vaan, so that’s still not a major complaint. Even after spending 200+ hours with the game, there is still a lot of replay value left both in trying out new Job combinations and just spending more time in this wonderful world. I completed the Bestiary during my first time through as part of the Platinum trophy, but I still was nowhere near complete with getting my hands on all the super powerful gear (even though, as you see above, I did have a full compliment of 6 Ribbons). Is this game worth $59.99? There is absolutely no question of that, even as a remake. In fact, I purchased the super expensive collector’s edition that cost me over $200 and felt that it was more than reasonable. This game is simply a masterpiece and this is unequivocally the definitive version of the game. More than likely, if you were not into it before, this version will not change your mind. But I truly like it when games are not simply made for a focus test group. This one has so much more depth than that, and it will continue to amaze a whole new generation of people now that were too young to experience it initially. This is example number one for me on why video game curation is so very important.